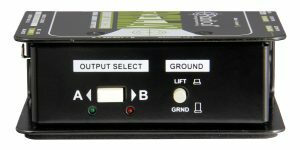 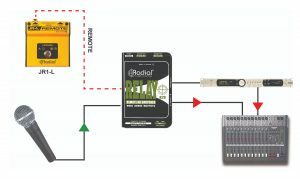 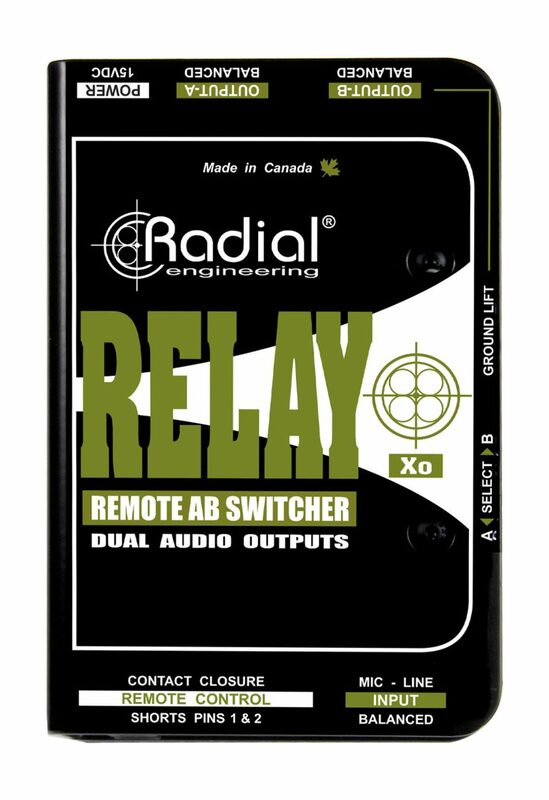 The Relay Xo is an audio switcher designed to route balanced mic or line-level signals between two separate destinations, with the ability to be operated remotely with an optional JR-1 footswitch. Designed to address on-stage communication problems for artists who employ in-ear monitoring systems, the Relay Xo is a remotely controlled active switcher that enables artists on stage to quickly reroute their signal without disrupting the performance. 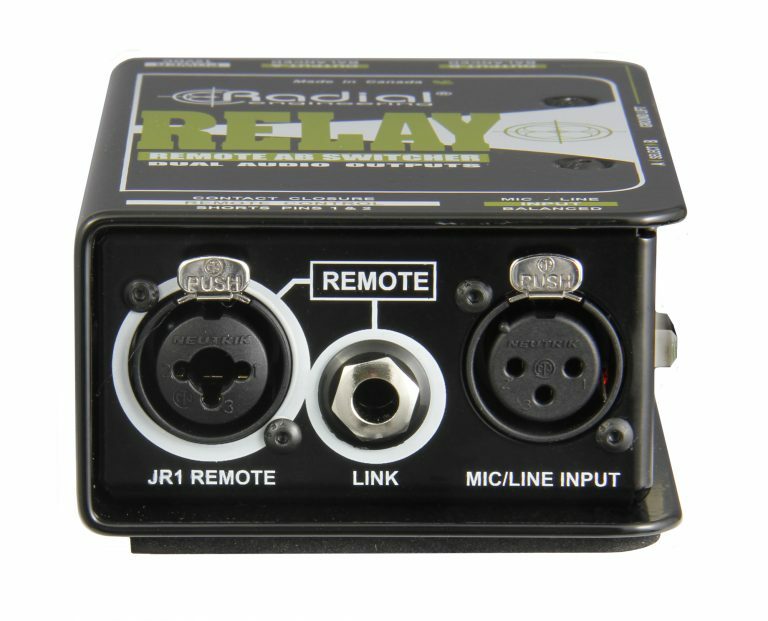 Connect the output of a dynamic microphone or wireless receiver to the Relay Xo input, then feed output-A to the PA system, and output-B to a common intercom buss. As soon as the Relay Xo is switched, it cuts the signal feeding the PA and redirects it to the monitoring system, allowing the musician to discreetly speak with other band members or the crew. 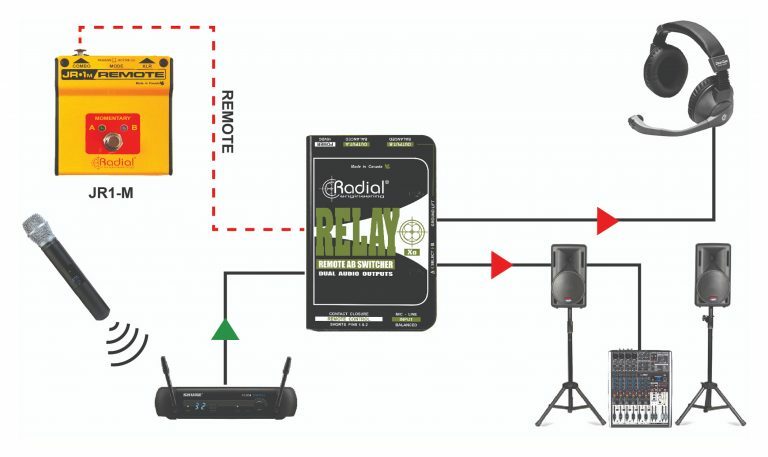 When artists that employ wireless microphones on tour, the receivers are typically located off stage. 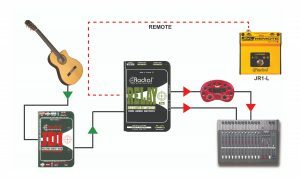 The remote input on the Relay Xo allows it to be connected next to the wireless receivers to reduce cable clutter, while still providing control to the artist on stage with a remote footswitch. Two versions of the Radial JR1 footswitch are available for use with the Relay Xo; the JR1-M with a momentary switch that will activate output-B as long as the footswitch is held down, and the JR1-L with a latching switch that will hold on the last selected output. Use the Relay Xo to switch the vocal mic between the PA system and intercom so that you can speak to the technical crew or other band members. 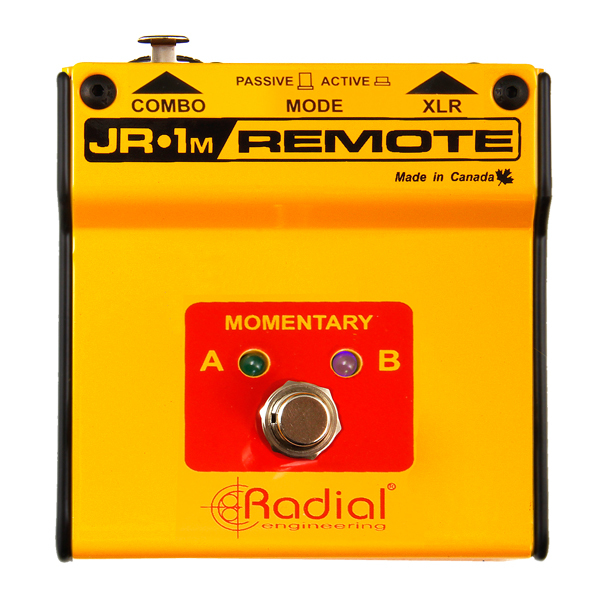 Use the optional JR1-M momentary footswitch to remotely control. 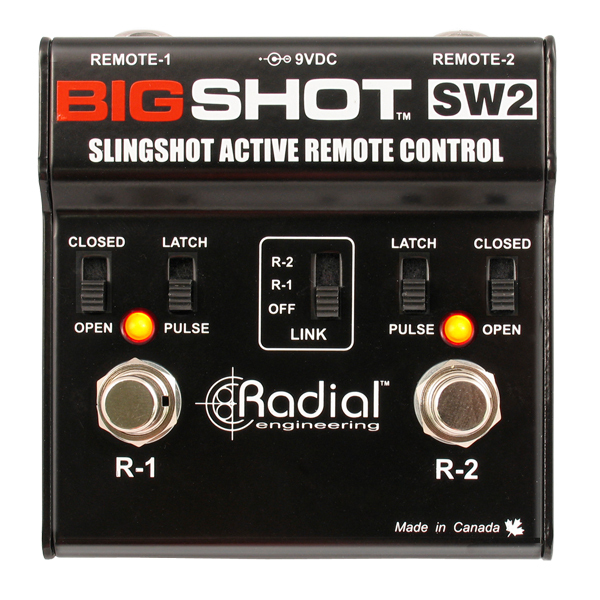 This avoids unsightly hand signals! 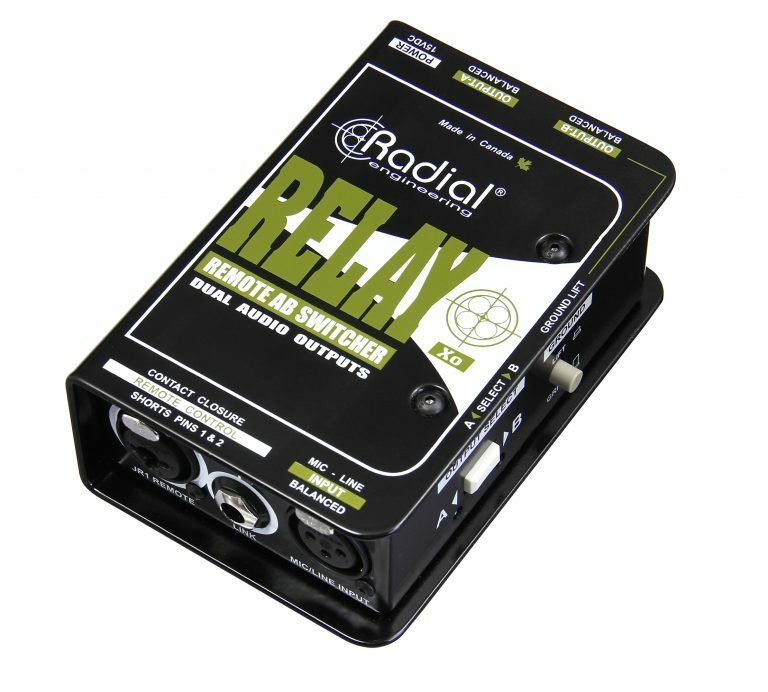 On gigs where you do not have your regular soundman, use the Relay Xo to toggle between a dry channel on the mixer to chat with the crowd - and a wet channel with reverb and delay to enhance your vocals when singing. 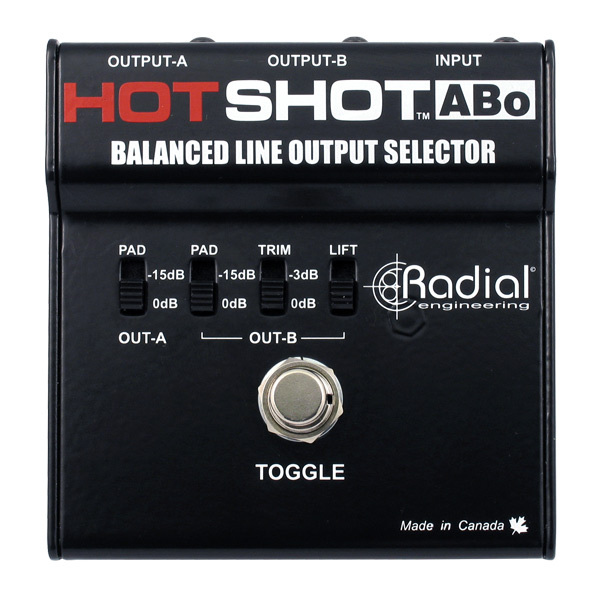 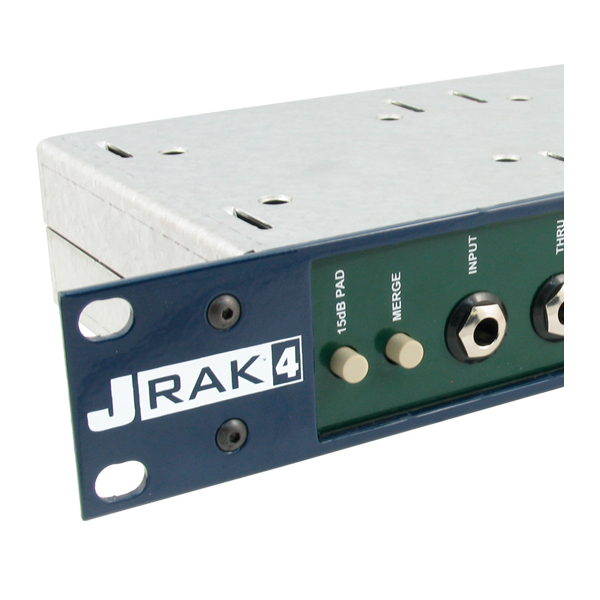 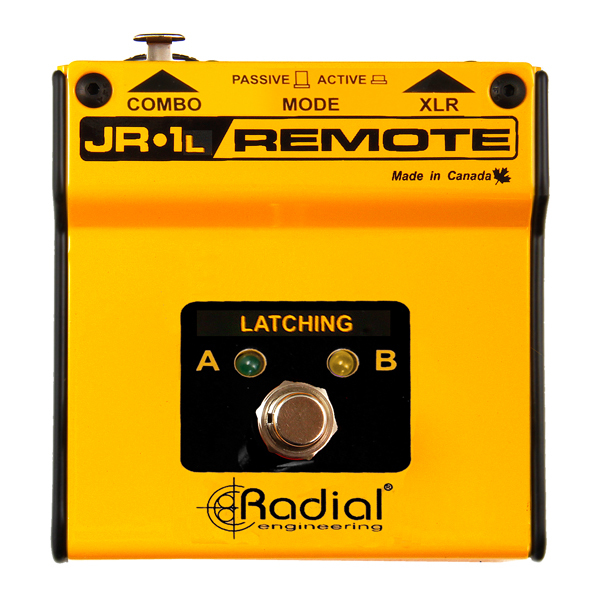 Use the optional Radial JR1-L latching footswitch for switching. 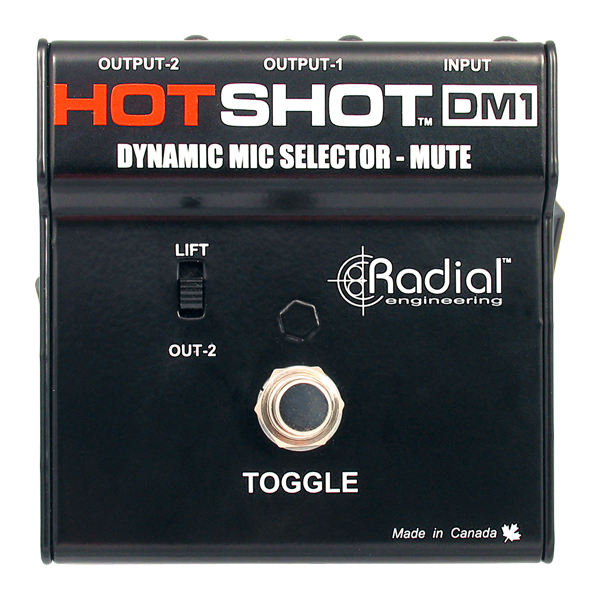 Ever wish you could add special effects to your acoustic guitar for solos or a particular song? 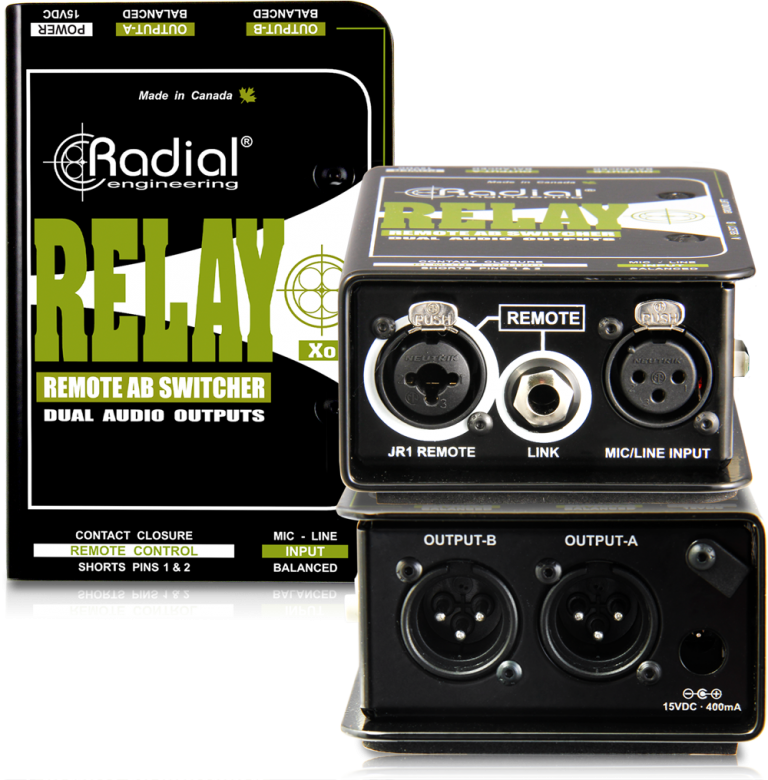 Use the Relay to toggle between normal and solo channels on the mixer. 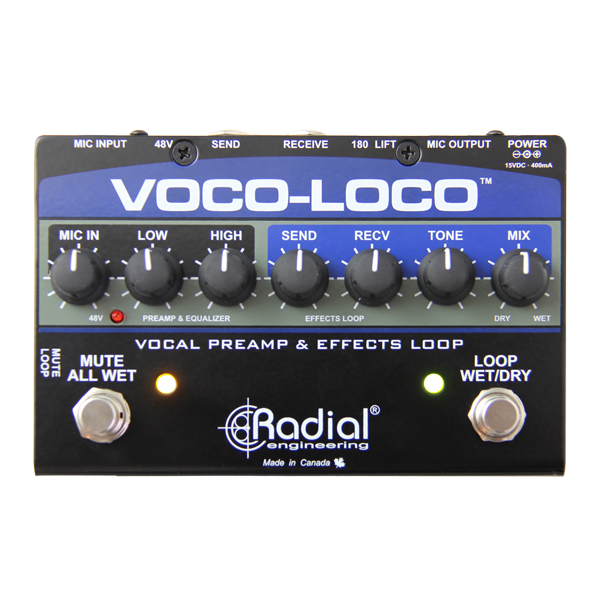 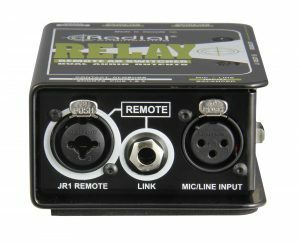 Use the Radial JR1-L to remotely control and toggle between the two like an Eric Clapton solo! 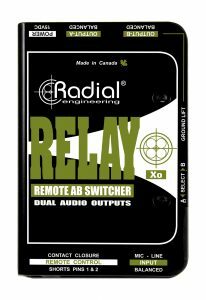 "The Radial Relay Xo Remote AB Switcher can provide talk-back functionality or expanded mixing options. 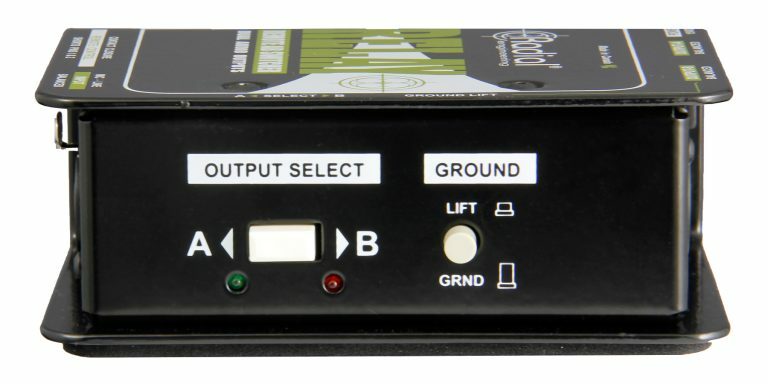 This controllable signal router gives both the musician and the sound tech options they don't normally have available."